TV with Thinus: TV CRITIC's NOTEBOOK. The execution of M-Net, Nu Metro and Johnnie Walker's cinema screening of HBO's Game of Thrones season 8 premiere was tardy, messy, off-brand and lacking attention to detail for each of their brands in a big way. How disappointing. TV CRITIC's NOTEBOOK. 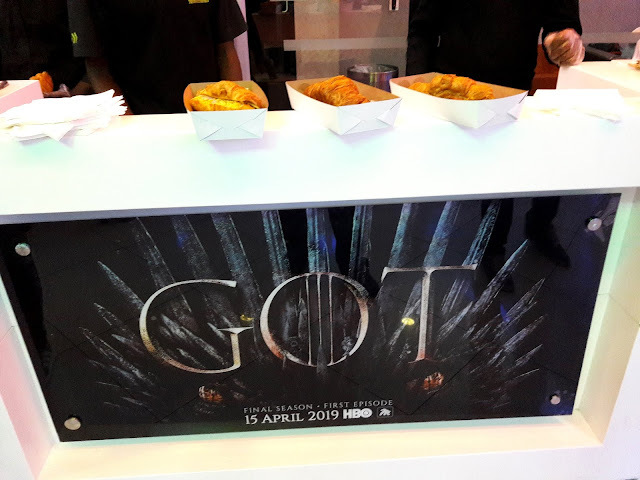 The execution of M-Net, Nu Metro and Johnnie Walker's cinema screening of HBO's Game of Thrones season 8 premiere was tardy, messy, off-brand and lacking attention to detail for each of their brands in a big way. How disappointing. While the part of seeing it on a big cinema screen this morning was excellent, the actual execution of M-Net (DStv 101), Nu Metro and Johnnie Walker's cinema screening of HBO's Game of Thrones season 8 premiere this morning was tardy, messy, quite off-brand for each of them and severely lacking in attention to detail for each of their 3 brands in a big way. If I were a marketing manager or events organiser for M-Net, Nu Metro or Diageo's Johnnie Walker whiskey brands in South Africa I would be embarrassed and ashamed over the "less-than" mess clearly carelessly thrown together on Monday morning in Cape Town. It showed a complete lack of any real regard for M-Net viewers, MultiChoice's DStv subscribers and the media, with a distinct attitude of "oh, we don't need to care, they don't deserve better and they won't even know better". While I hugely, hugely appreciate the plan, the intent, the effort, all of the organising and everybody in whatever value chain who said "yes" to bring and make Monday morning's Game of Thrones cinema screening event and competition possible, I'd be remiss if I didn't point out on a very factual basis how badly M-Net, Nu Metro and Diageo's Johnnie Walker executed this. This HBO Game of Thrones cinema screening was simply not good enough. I doubt that people who attended really felt that it was special besides the "special" feeling of sitting and watching the episode. They sure were not made to feel special through the treatment and atmosphere they received to make them feel as if they like M-Net, Nu Metro or Johnnie Walker more as brands (which presumably would be the point of this exercise). And if I could be awake and work at 03:00 in the morning, surely executives, managers and real representatives from M-Net, MultiChoice, Nu Metro and Johnnie Walker could have been awake and have been there as well to directly oversee the execution of their event and be present. I don't feel that it was the case and it's quite bad because MultiChoice, M-Net and even Showmax have done a lot of lip service about the importance of HBO's Game of Thrones. That however doesn't fit and align brand-wise with what I saw this morning. I actually felt bad when I interviewed people and competition winners invited by M-Net and Johnnie Walker on Monday morning milling about inside Nu Metro's cinema area at Canal Walk. I cringed on the inside when one literally said to me "I was so excited because you know M-Net always goes big with their events so I knew we would maybe get some expensive champagne and free food". I knew that this wasn't that event. First up: An ugly, shabby-looking red carpet. Where is the M-Net blue carpet for a true M-Net VIP Experience, or a black one to fit with for HBO's Game of Thrones? Completely off-brand right from the first step arriving at Nu Metro. Then the wrist band was blue, so clearly someone did think about colour - but just not enough. Then it took very long, with a very long time standing in a long queue just for registration. A young woman and a man who looked clueless had only A4 pages to look through for names and took an awfully long time. At first they also couldn't find my name. (This apparently happened to other guests as well). Then when I was asked if i needed a free parking ticket and said yes, I was told I first need to hand in my existing one (which was in my car). Then a line formed (another long line) to play a quiz on a tablet for a possible prize. For that, you had to first show that you have both MultiChoice's DStv Now and Showmax apps downloaded on your mobile device. There was only one tablet. Some people took very long. This was painfully badly organised and conceptualised. Also the people in "charge" here looked clueless and outof their depth. When it was my turn, suddenly you had to fill in your details and contact details. I asked why it was necessary and what's happening to the information and what it will be used for? The man who was completely an idiot or needed sleep, couldn't give me any explanation. Why does MultiChoice and Showmax again want your data if you have shown you have the apps? To harvest it for marketing? Am I going to get additional emails and calls from now on? As with E! 's 15th anniversary celebration party last week, there were not enough seating to accommodate everyone. The Game of Thrones decor was very loosey-goosey, sparse, and scattershot. Rather then do nothing because trying a little in cases like these are worse than not trying at all. When was this Spartan (and I mean that literally) decor cobbled together? 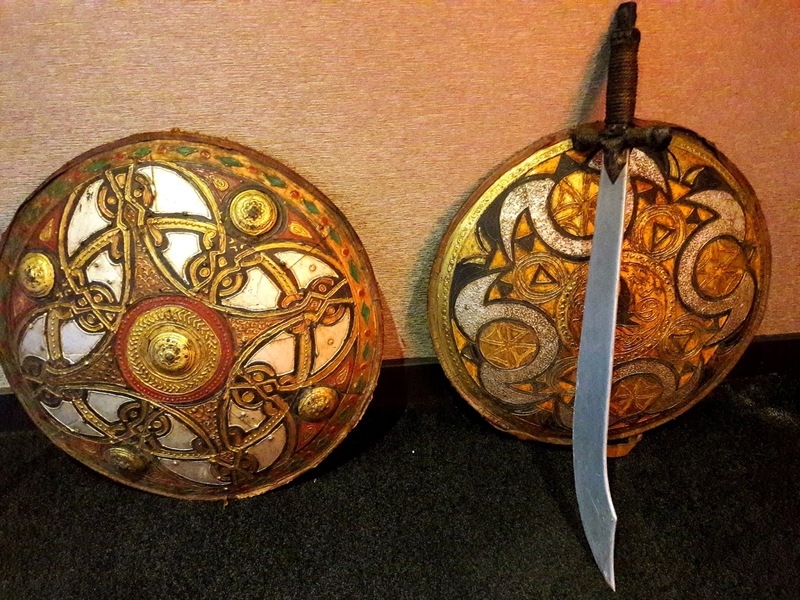 Also, no Arabian swords feature in Game of Thrones - tell the Chinese prop or costume rental shop. People who are fans of a show notice things like this and it's condescending to the extreme to think that they don't/won't. This is the 8th and final season of Game of Thrones. 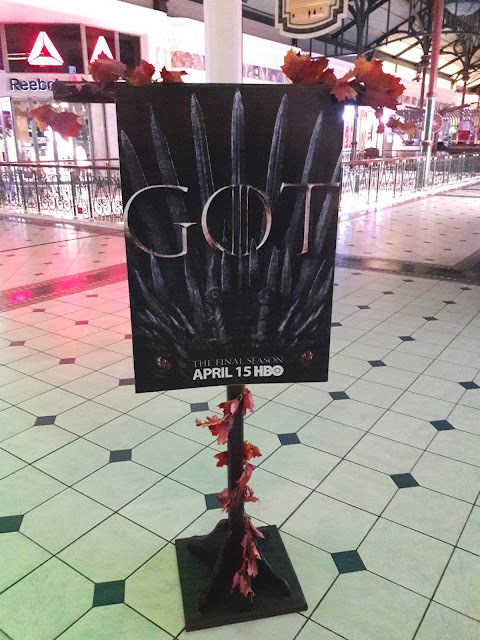 Why did M-Net have better decor, more banners, actual people dressed up as Game of Thrones characters and people as types of installation art at previous season premiere cinema screening? Why do less in this aspect for the big final season that surely deserves it more, than for previous seasons? Nu Metro's supposed "VIP" area looked like the third class waiting room at a Metrorail station that has seen better days. Really Nu Metro? You want people who see this to come back in future and pay for a cinema experience? When I walked into the cinema I was handed a box of popcorn but accidentally dropped it in the rushed handing out. I was given a new one. After apologising, when I walked away I saw how the guy scooped it up and threw a lot of the scooped up popcorn that was on the floor back into several of the other popcorn boxes. "Look at what he's doing!" I said to my friend. Inside the cinema, that was packed, people sat and waited for Game of Thrones to start. Nobody from Nu Metro, or even more importantly from M-Net, appeared or said a single word. Nobody. Previously at exactly the same kind of Game of Thrones cinema screenings an M-Net representative would go and stand in the front, talk, welcome people, thank them for their support, say something about Game of Thrones and its fans, hand out some prizes to best-dressed people and other spot prizes, and ask people not to film or take photos. Absolutely none of that happened this time. It felt blunt and like lost marketing, exposure and audience and consumer engagement opportunities. There were no goodie bags or little gift when guests left the cinema. This isn't really needed but why did guests and people who attended previous Game of Thrones season screenings then receive stuff? "No bread plank this time," said my friend as we walked back to the car. She attended the 6th season Game of Thrones cinema screening with me a few years ago and it literally took me a few seconds to realise what she meant. Then we laughed. Previously M-Net gave guests a bread plank with "Game of Thrones" as a wood burn on it as a take-home gift afterwards. On to Johnnie Walker's bizarre and badly executed cocktail counter and its "White Walker by Johnnie Walker" limited-edition whiskey that was displayed. As background, the bottles use special ink-technology to show the words "WINTER IS HERE" on the side when the bottle is frozen. What a shambles. Three of the bottles were carelessly just dumped on the left-hand side bar counter. At room temperature. Nothing made any of it special. There was no animation or visual thing to specifically explain or show how or why this bottle and limited-edition is special and how it works. There was nobody I could see from Johnnie Walker standing there or hovering to see who or if anybody is interested, to maybe explain and (up)sell the limited-edition. No bottles were frozen, standing on ice or frozen trays to "display" and show the change. It was ordinary and ordinarily weird. So what exactly was the aim of this exercise from Johnnie Walker? 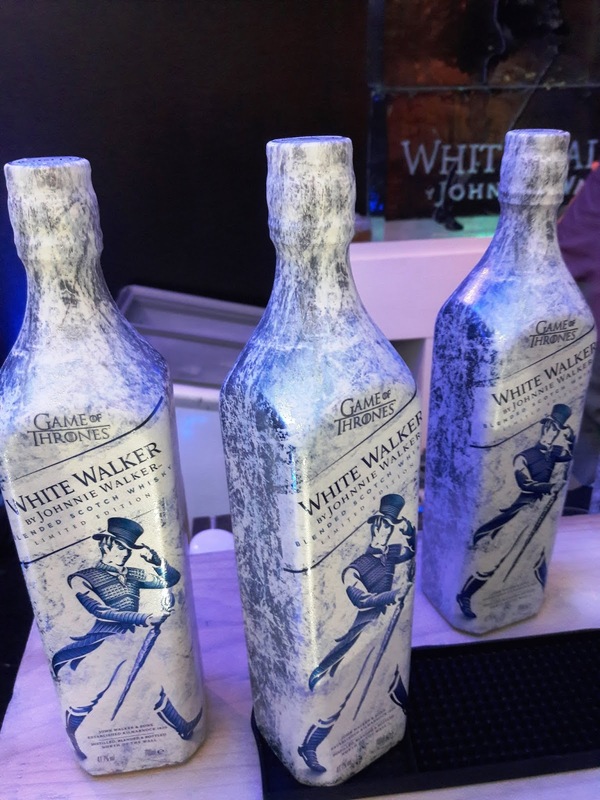 For people milling about and waiting to watch the episode to just think "Oh, Johnnie Walker is doing a White Walker whiskey" or "Oh, Johnnie Walker has a presence here"? What a terrible marketing failure to not explain to a captive audience what a very specific brand extension is actually about. Again, thank you M-Net, thank you Nu Metro, and thank you Diageo and Johnnie Walker but this is how you appease and patronise toddlers, not genre fans and competition winners. The snack counter and hotel flapjack machine and barista corner were fine - no problems there and it looked nice. The issue is around the individual and overall execution of the event - the venue not looking like, and not looking "right" enough for, a Game of Thrones event, as well as long queues staffed by clearly disinterested and incompetent young people. Why would brands clearly not bother about any of the important but finer details about their brands and how people are literally interacting and supposed to be interacting with them? Because it's 3 o'clock in the morning? I refuse to believe that, because M-Net did this previously and then also better. I didn't have any expectations that this cinema screening of Game of Thrones would be bigger and better than the ones before but I expected at least the same level as before. This was however shoddy and felt like a discount-bad experience. I have no idea what happened in Johannesburg and Durban and whether it was normal and better there, or the same underwhelming effort. If it was better, why such a lesser-than-Johannesburg event and discrimination for Cape Town? What I do know, because I've attended hundreds of these types of things over many years, is that this was not a true "M-Net premium" experience. This didn't make Johnnie Walker's White Walker stand out or in the slightest showed it off with any effort to explain and market why it's more special than a Fanta Grape can. And it all happened inside a dull, dead, too full, bleak and boring supposed "Nu Metro VIP area". 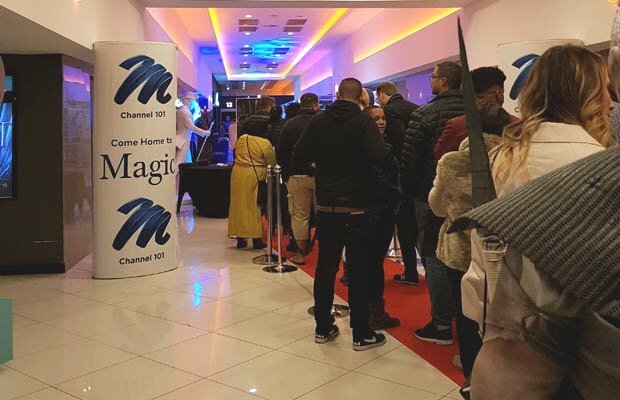 Don't wake whoever at M-Net, MultiChoice, Showmax, Nu Metro and Diageo's Johnnie Walker who should all have been more hands-on with this Game of Thrones cinema experience event. They're probably (still) sleeping.